Component of the Month: Resistors « Adafruit Industries – Makers, hackers, artists, designers and engineers! 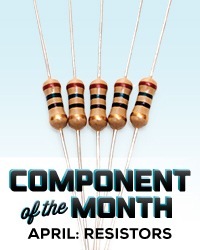 MAKE | Component of the Month: Resistors. Each month this year, we’re exploring a different electronic component, delving into what it is, how it works, and how you use it in projects. Last monthwe looked at batteries. This month, we’ll tackle the resistor, the job of which is to limit the flow of electricity and thereby control it, guiding it toward one component while protecting another. As always, we’ll start things off with an introduction to resistors via an edited excerpt from Charles Platt’s essential Encyclopedia of Electronic Components: Volume 1. 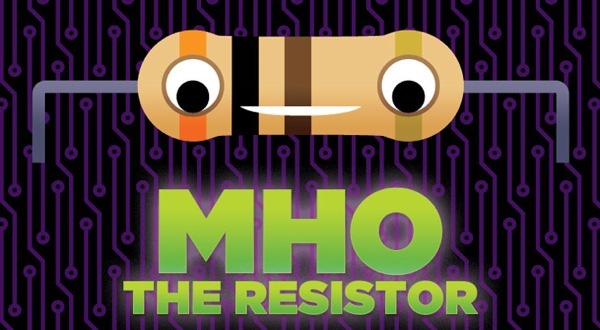 Mho the Resistor – Circuit Playground Plushie.